Reports in Spain claim that the Nou Camp faithful are turning on Enrique, however he denies this is true, with Barcelona sitting second in La Liga. 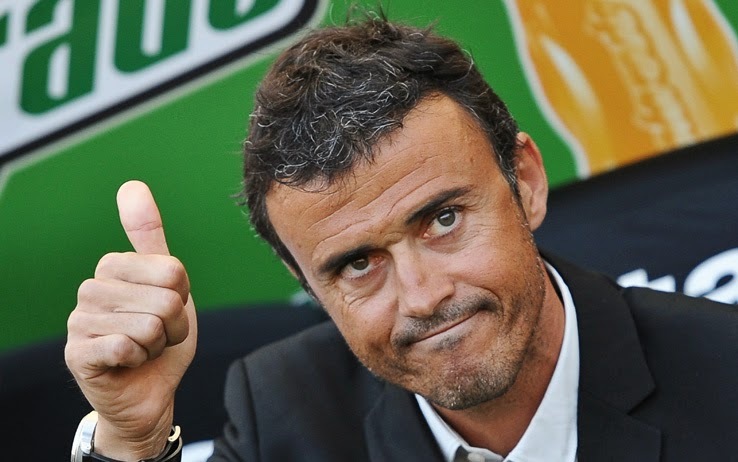 Barcelona sit just two points off the league leaders Real Madrid, although the fans are reportedly skeptical“That is not the impression I get from people in the street, they have been encouraging me,” said Luis Enrique at Tuesday’s press conference. “We’ll find out whether or not I have found the key at the end of the season. It’s taken me five years to get used to doing it. Now my chance has come at Barca and I am still loyal and faithful to my principles. “I could do better I accept but I could also do a lot worse, the team is doing well at the moment. We could all improve but I’m liking what I see at the moment.” of Enrique’s approach. Barcelona recorded a late 1-0 win away to Valencia on Sunday, with Sergio Busquests scoring the winner in added on time. The goal was overshadowed by the incident that saw Lionel Messi hit with a water bottle through from the home crowd, whilst Barcelona celebrated their winner. Messi was incredibly booked for the time it took him to return to the pitch after the incident, however Enrique refused to criticise the match officials. “I don’t like to talk about referees,” he added, “it’s a very difficult profession. They need to make a decision in a fraction of a second and that can create difficulties.